To evaluate the frequency, location, and characteristics of radiodensities in the maxillary sinus using cone beam computed tomography (CBCT). All CBCT scans with a large field of view with both maxillary sinuses entirely visible were initially screened. Patients were included, if there was no suspicion of sinus pathology and no history of surgical intervention/trauma in the sinus region. The location and shape of the radiodensities were evaluated in axial, coronal, and sagittal CBCT views. 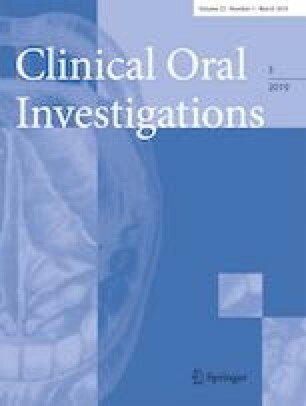 The findings were correlated with age, gender, condition of the sinus mucosa, and status of the dentition. A total of 169 patients (338 maxillary sinuses) were included. Radiodensities were found in 35 sinuses (10.4%) of 28 patients (16.6%) with a mean age of 32.0 years. Most of the 35 affected sinuses had one radiodensity (19/54.2%). The radiodensities were typically located at the sinus floor (22/62.9%). Of the sinuses presenting with radiodensities, 17 (48.6%) were exhibiting reactive changes of the Schneiderian membrane. The presence of periodontal pathology was found to be associated with the presence of radiodensities. Age and sinus pathology were influencing factors on the shape of radiodensities, and the status of the dentition was an influencing factor on the number of lesions. One-sixth of the patients analyzed had incidentally diagnosed radiodensities in their maxillary sinuses. As almost 50% of the sinuses with radiodensities exhibited a form of chronic rhinosinusitis, the diagnosed ectopic calcifications may have formed as a result of mucosal changes of inflammatory origin. The presence of periodontal pathology was associated with a higher incidence of radiodensities. Nevertheless, this finding has to be interpreted with some caution due to the limited sample size available. Incidentally detected radiodensities in the maxillary sinus are not an infrequent finding in CBCT scans of asymptomatic patients, and are located typically on the sinus floor. Future studies are needed to assess the clinical significance of these findings especially with regard to planned surgical interventions in the posterior maxilla. The authors are grateful to Ms. Kar Yan Li, Centralised Research Lab, Faculty of Dentistry, The University of Hong Kong, for her valuable assistance regarding the statistical analysis. This study has been funded by departmental funds only. No external funding has been received. All procedures performed were in accordance with the ethical standards of the institutional and/or national research committee and with the 1964 Helsinki declaration and its later amendments or comparable ethical standards. The study protocol was submitted to and approved by the local institutional review board (IRB) of the University of Hong Kong/Hospital Authority Hong Kong West Cluster (approval number UW 17-462). For this type of study (retrospective study), formal consent is not required.